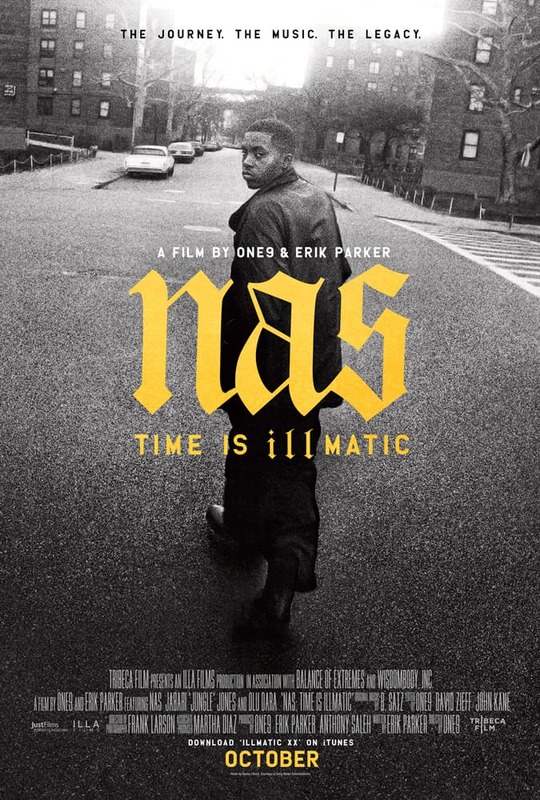 This is a documentary about the rise and rise of legendary rap star Nasir ‘Nas’ Jones. Although it’s a feel-good story, there are many poignant moments that remind us that, for every winner, there are losers galore. You don’t have to be a fan of Hip Hop to enjoy this film, or even to have listened to it. You just have to be a human being who has, at one time in your life, had all hope swept away, which makes it a story for us all. Nasir Jones is the son of a jazz musician father and a hard-working mother. He grew up in the New York projects and dropped out of school at the age of 13. By this time, his father had already left the family home and he and his younger brother were left in the sole care of their mother. However, the influence of Nas’ absent father had allowed him to discover the magic of music and he had begun to create some of his own. He wrote obsessively, performed whenever and wherever he could and, in 1992, his debut single ‘Half Time’ was included in the Zebrahead soundtrack album by MC Serch. His recording was brought to the attention of Columbia Records and his career was launched. A lot of time is spent at the beginning of the film getting to know Nas through conversations with his family, friends and colleagues. Everyone has something intriguing to say and a picture emerges of a young man who, despite his spectacular success, has retained his humility. Unfortunately, however, there are some gaps in the story. Nas and his brother both clearly adored their stalwart mother but no explanation is given for her premature death. We also see a photograph of a proud Nas with his toddler son and daughter, but it’s a brief visitation and they are barely mentioned again. Presumably, there are parts of Nas’ life that are not for sale, which only adds to his guileless appeal. The interviews in this documentary reveal some cold hard facts about the environment from which Nas has emerged. These facts are, if you’re a black American, living in Crack City, surrounded by crime and unable to find a job, a cloud of dysfunction hovers eternally over you. The only escape will be a trip to prison, at which point, all hope is lost. This is one of the major themes that have been immortalized in Nas’ lyrics. When Nas wrote and recorded these lyrics, he undoubtedly thought that this would never change – but he could be wrong. In celebration of rap as an art form, a Hip Hop Fellowship has been established at Harvard University, and Nas was one of the dignitaries to celebrate its inaugural. This was a well-won honor for him, and also perhaps a glimmer of hope that other artists might also rise from the projects that have destroyed so many, including all of Nas’ friends. There can be no one more hopeful of that than the rapper himself.